A corporate move may also involve the movement of your employees and their families. As one of your business’s most important assets your staff deserves special care and attention during your move. There’s no doubt that moving can be stressful. With so many details to consider, including the transition of your employees’ families, a reliable, professional resource can help alleviate some the stress. Our professional move team is specially trained in the careful packing, handling and transportation of household goods. Prior to delivery each item is professionally retrieved from its location within our warehouse. The item is then physically inspected in order to assure any changes in condition since being stored. 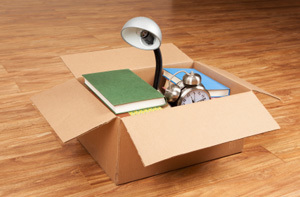 Additional packaging or crating may be utilized for oversized or fragile pieces. Your inventory is then placed on one of our GPS tracked, specially designed vehicles for safe and secure transport. When you’re ready, we’ll deliver your inventory directly to your residence. At arrival, you simply let us know where you would like us to place each item and we’ll do so with the utmost care. We’ll even help with the assembly of furniture items. Each delivery is handled with courtesy, attention to detail and a focus on minimizing disruptions to your family. For more information about Michigan Office Mover’s household goods storage services and a cost free, no obligation estimate, please contact us by phone or fill in the form on the page.